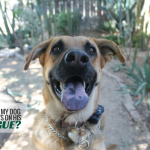 You are here: Home / Why Do Dogs / Why Do Female Dogs Get Blamed For Dead Grass? How many times have you heard that female dogs kill grass? I heard it plenty growing up, though I never knew the reason why. I’ve got a female dog that’s urinated thousands of times in my yard and I have yet to see a dead patch of grass. But there must be some truth to it if we’ve all heard it so many times, right? 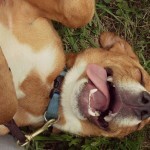 So I decided to dive in and take a look at why female dogs get blamed for killing grass. 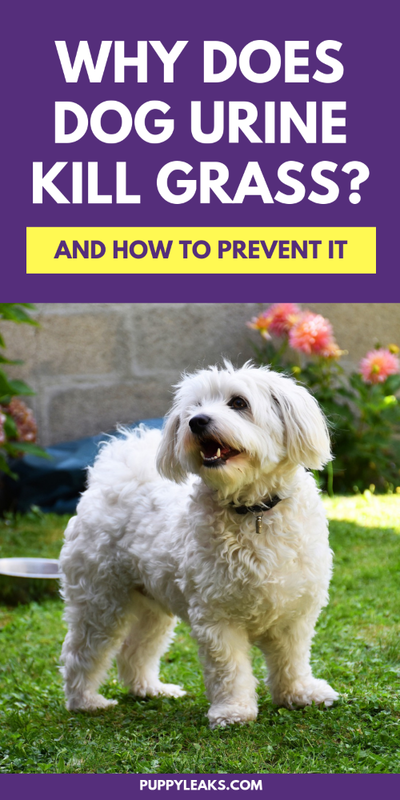 This article goes over why dog urine kills grass (and why it’s not just a problem with female dogs), and what you can do to prevent your dog’s urine from damaging your lawn. 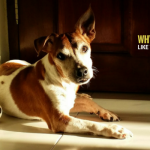 Does Urine From Female Dogs Kill Grass? So why do female dogs get blamed for dead grass? Simply put it’s because of the squatting. Since female dogs squat when they urinate it pools in a collected area. That pooling of the urine in one concentrated area is what can lead to dead grass. 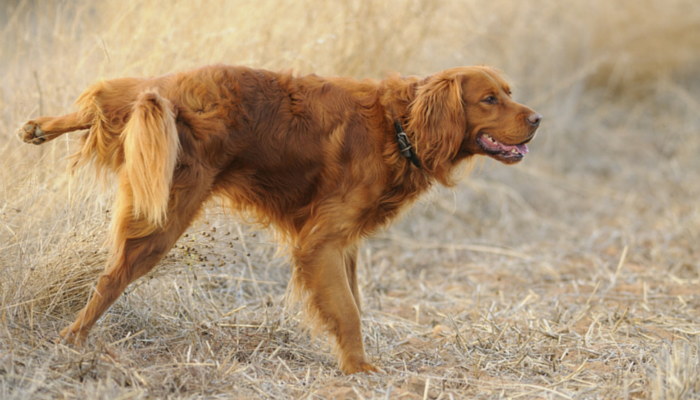 When male dogs lift their leg to pee it gets sprayed all over, rather than collecting in one spot (some male dogs squat to urinate rather than lifting their leg). It’s true that female dogs are more likely to kill grass, but it’s important to remember that it isn’t because their urine is any different — it’s just because of the way it gets deposited on your lawn. High concentrations of nitrogen in dog urine is what kills grass. Urine consists mainly of water and urea, a form of nitrogen. And when our dogs urinate that excess nitrogen is deposited onto the grass. And while a little bit of nitrogen is good for grass too much will cause damage. When a high amount of nitrogen is deposited in a single spot it can kill grass — much like putting a concentrated amount of fertilizer in the same location. Lawns can handle small spots of nitrogen better than large volume pools. Does the pH Balance in a Dogs Urine Kill Grass? 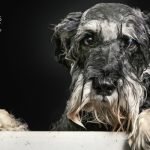 While there are some valid medical reasons to have your dogs pH balance checked fixing your lawn isn’t one of them. Although commonly cited as one of the causes of burnt grass there’s little evidence that the acid in urine has much effect at all on grass. The nitrogen in your dogs urine, not the alkaline balance, is what causes lawn burn. 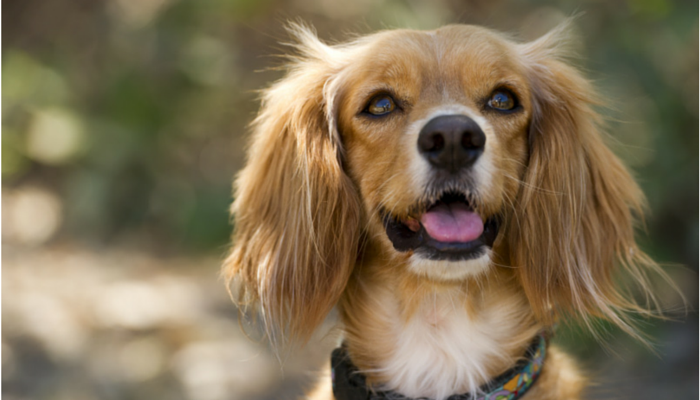 There are many supplements available that claim to reduce a dogs urine alkalinity. Unfortunately there has been no scientific evidence that such supplements reduce the severity or number of dead spots of grass caused by urine. If you suspect your dog has a pH imbalance consult your veterinarian. Male dog urine can cause lawn damage, too. The amount of nitrogen in a dogs urine is what kills grass. Diluting urine pools with water is the most effective when it comes to preventing lawn burn, and the quicker it’s applied the better. Some recommend using baking soda, lime, Gypsum, or dishwasher detergent to dilute urine spots, but in many cases these products can cause more harm than good. When urine spots are diluted with water they end up having the same effect as fertilizer. Next time someone tells you that those spots of dead grass are caused by a female dog kindly remind them that any dog can cause dead grass – not just females. Any dog, big or small, male or female, can cause dead grass if their urine contains enough nitrogen. Lawn spots can occur with any dog; especially when they tend to urinate in the same spot over and over. Most lawn spots are mild and will repair themselves over time. If you’d like to keep your lawn spot free the most effective way to negate the effects of all that excess nitrogen is to dilute the urine with water. Does Your Dogs Urine Cause Dead Grass? Do your dogs cause dead spots of grass? What solutions do you use to repair the damage? Have you had any success with diluting the spots with water or any other products? Interesting post. Not all of my dogs have caused damage – neither Maggie or Jack do, but Sally used to. Probably related to diet. Jasmine used to kill any grass she squatted on until she was started on home made meals. Then she didn’t. I know I have that same vision in my mind; and it’s me holding a blue plastic watering can for some reason lol. Yes, we have dead grass. Our Jake is old and tired and achy, so he doesn’t go far from the side door. As a result, the grass always dies there. Every spring we reseed it and it comes back up. I like your idea of pouring water over the urine though after he goes. I think I might try that. Thanks! Our female 80 lb lab dog kills our lawn like crazy. Tried lots of solutions with no luck. If she pees there it dies. I love my dog but I can’t deal with it anymore. Walking her a couple blocks away everytime she pees. Very annoying but it’s the only thing that works. The last post (April 26) about the only real solution being “walking a couple blocks away every time she/he peas – now we’re talking. Thank you. And, walking the dog to a forested or grassy roadside ditch to pea really makes sense and will save everyone, dog owners and their neighbours, lots of grief.